The long-awaited Canberra light rail is here, and The Big Smoke can exclusively reveal the running details of its debut weekend. As residents are slowly moved out of public housing, the instances of crime on those who remain skyrockets. The government knows this, but has chosen to do nothing. 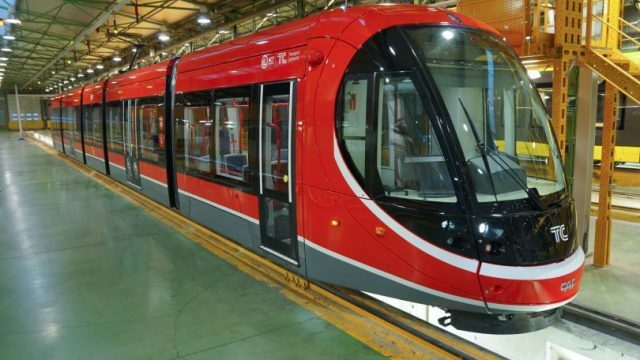 Canberra’s new light rail is on the way, however, the government is standing mute when pressed on the extra costs involved. After much push and much shove, change has arrived in the form of a Sunday timetable for all. Our campaign to create a fairer bus timetable for all Canberrans has got a shot in the arm, as the government is now willing to discuss the issue. We’re two months into our movement, and now it’s the turn of the union to speak their piece. There has been movement on our crusade to make Canberra’s Sunday timetable fairer for all citizens, with both the ACT Greens and the Libs now behind our push. Next stop, change. New TBS writer Georgia Hitch has escaped the small town she was born in, and now living in Sydney; she sees similarities between the two. Mike Welsh lives in Utopia (re: Canberra), but after the recent Nick & Sarah Jensen fallout, he just can’t tolerate the intolerance of the so-called “tolerant”. Twelve years after the dreaded Canberra firestorm, Mike Welsh reflects on how the day was for him, hoping enough time has passed to reflect more lightly on an extraordinary day. A Canberra Supreme Court ruling against the CCC (Concerned Citizens of Canberra) comes hot on the heels of Mike Welsh’s article on the Bendigo mosque.